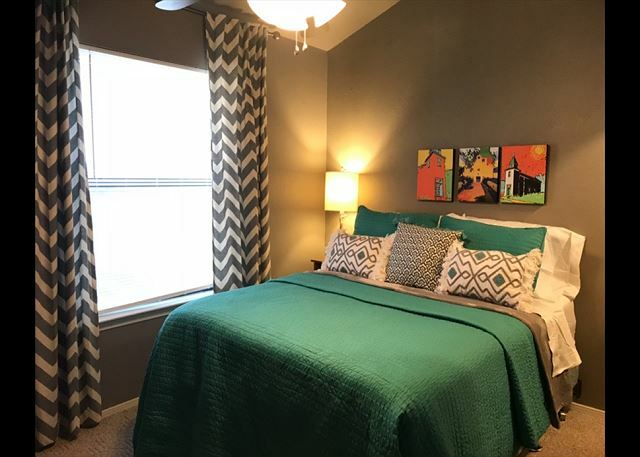 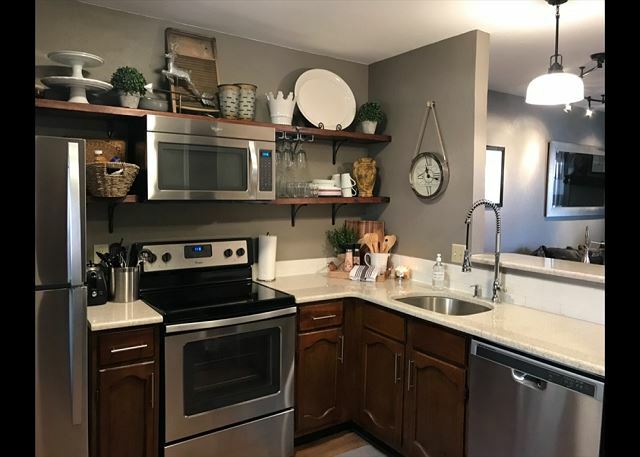 Beautiful Condo in Whispering Bluff. 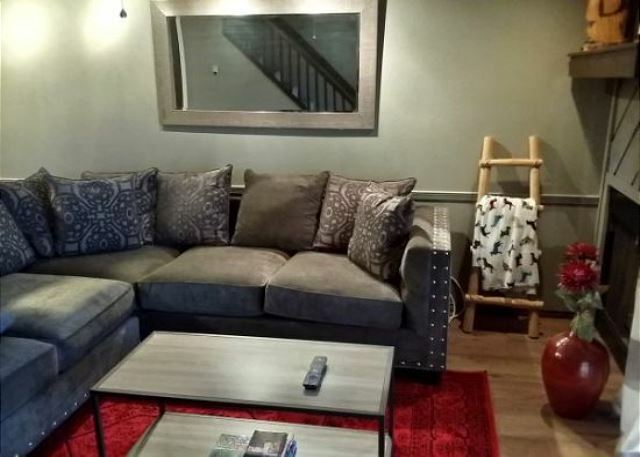 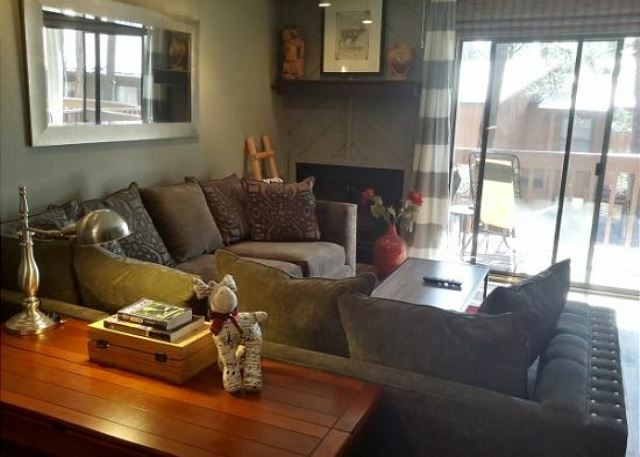 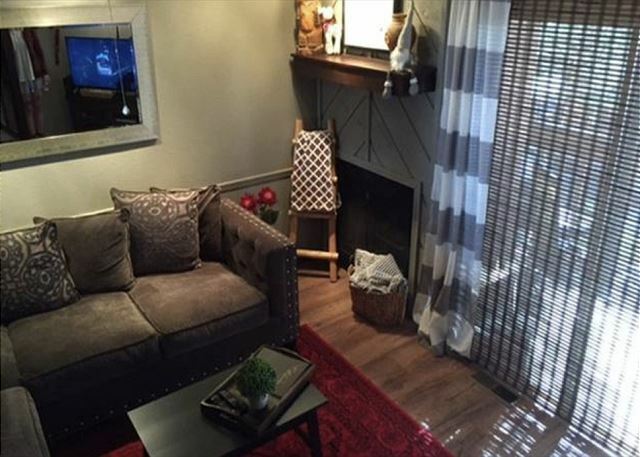 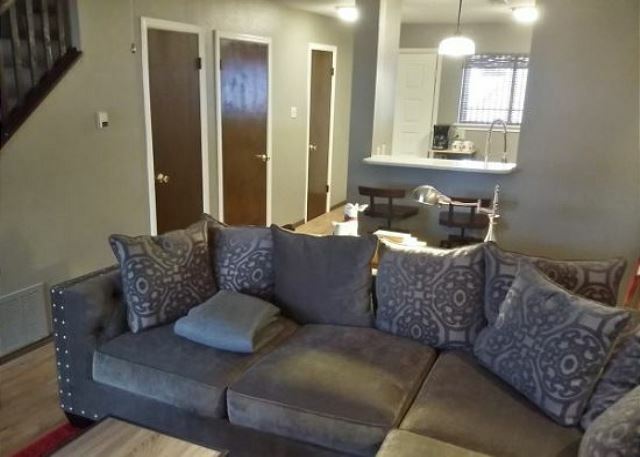 Newly remodeled condo with gas fireplace large sectional sofa and LED TV. 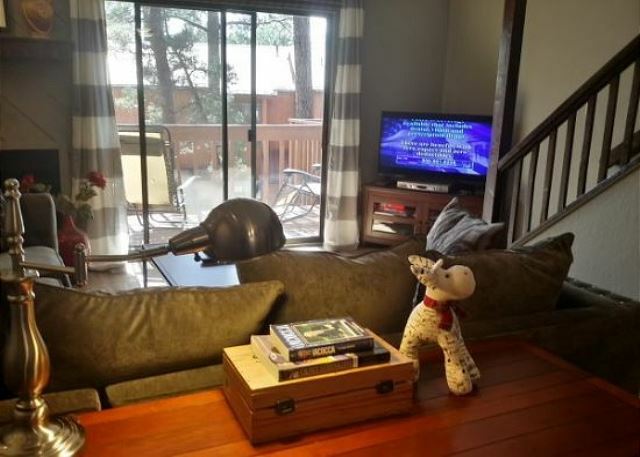 Enjoy your favorite beverage outside on the deck with table, chairs and a propane grill a great place just to relax. 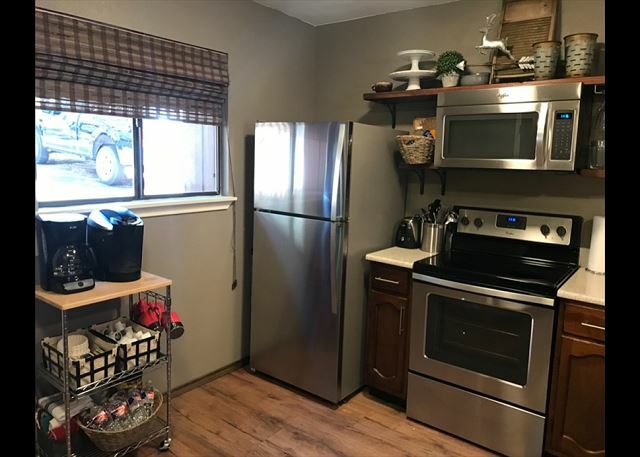 Large open fully equipped kitchen with bar. 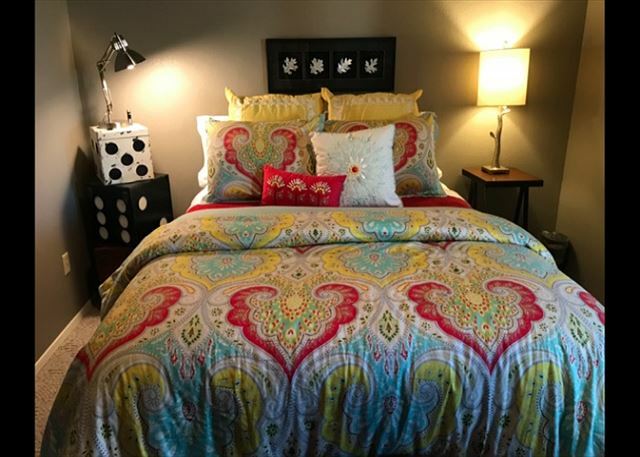 A queen bed in the quest bedroom full bath in the hall. 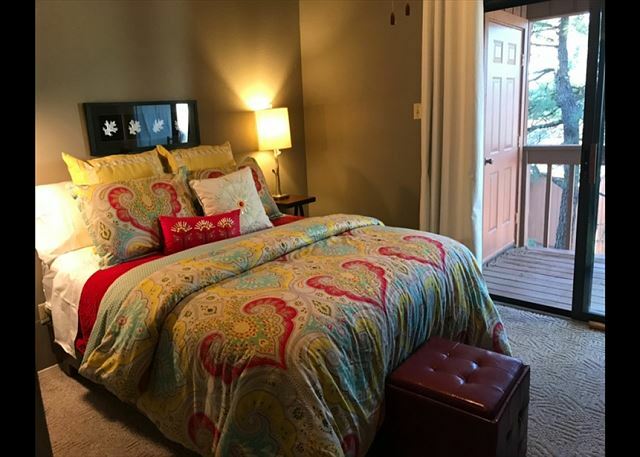 The master bedroom offers a Queen bed, TV and private deck. 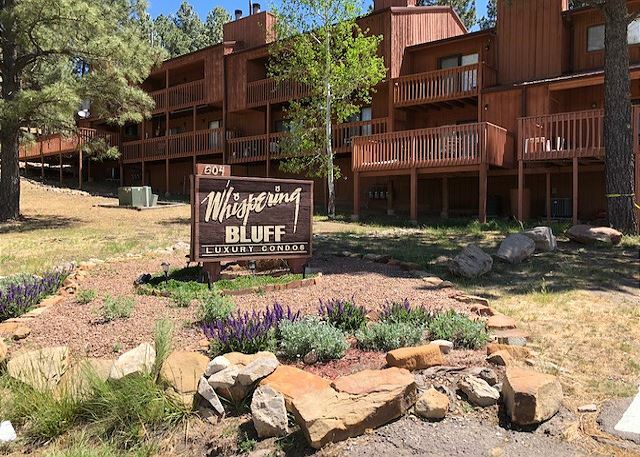 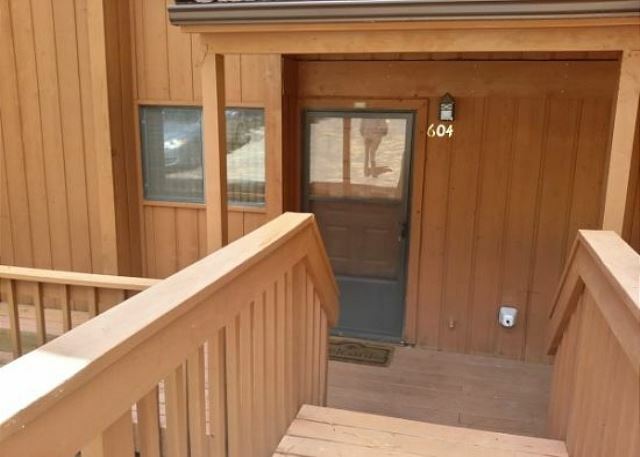 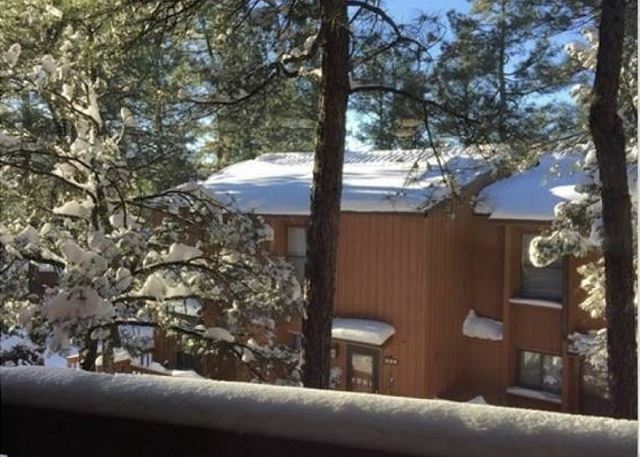 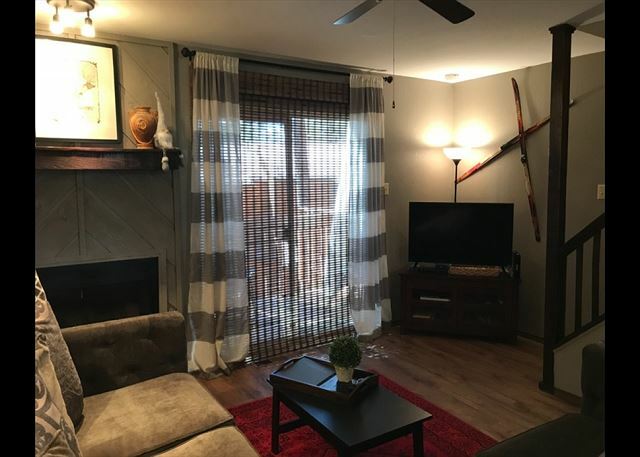 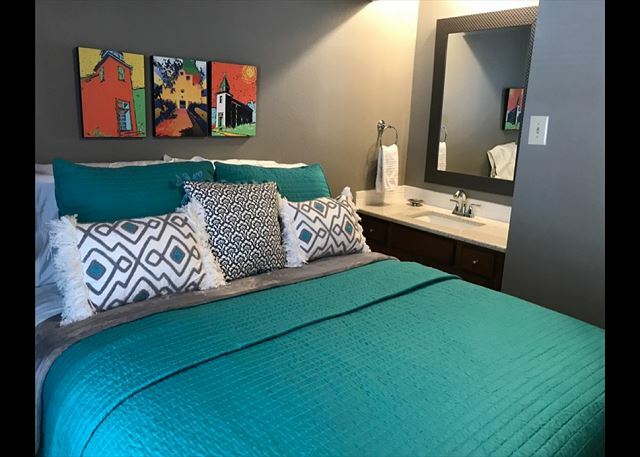 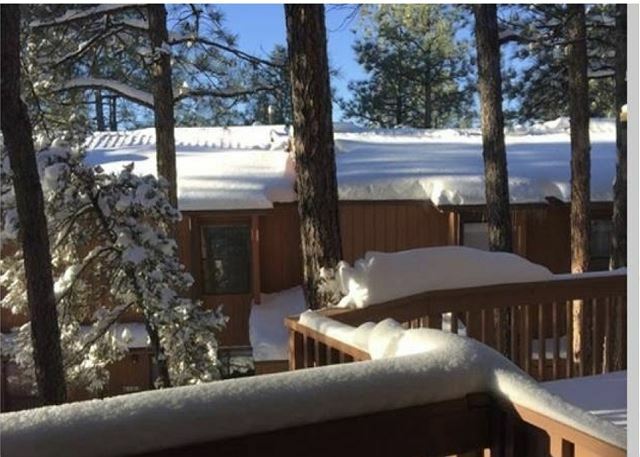 While visiting the mountains of Ruidoso stay at the Aspen Cove!